Rediscover inner peace & outer beauty; through a combination of artistic excellence. professional expertise and the newest technologies today. We are dedicated to bringing you results oriented services and products. We use only the latest technology that has demonstrated lasting results while keeping to the highest of safety standards. The skin tightening treatment combines two mechanisms of Radio Frequency energy and vacuum therapy that work with the body’s natural regeneration processes going deep under the skin. The RF energy targets enlarged fat pockets to reduce fat cell volume and increase the metabolism while the vacuum manipulation increases local blood circulation and lymphatic drainage. 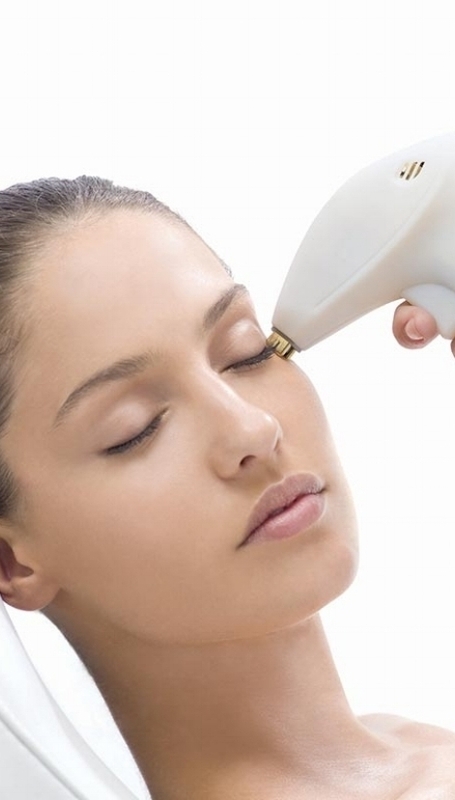 Microdermabrasion is a skin refreshing technique that helps repair skin that has been damaged. With combination of exfoliation and mild suction, the process removes dead and damaged skin cells that have built up over time, Your skin will immediately feel and look smoother, fresher and healthier. Additionally it accelerates the skin turnover rate and jump-starts the proliferation of new skin cells. Oxygen is one of the most essential elements for human life. The oxygen that we inhale from the air around us helps keep our body and skin free from impurities and toxins, But as we grow older, the oxygen levels in our skin naturally decline, which contributes to wrinkles and fine lines. This specialized beauty treatment is designed to replenish the levels of oxygen in your skin smoothing out wrinkles and restoring a youthful appearance to your face. Damaged or aging skin cells do not slough off as easily as when we are younger causing the skin to appear dull, coarse and uneven. Light medium and deep chemical peels are a nonsurgical cosmetic procedure used to peel away the skin’s top layer to improve sun-damaged unevenly pigmented and wrinkled skin improving the evenness of color and texture in your skin creates a youthful look and restores healthy, luminous and radiant appearance. A chemical peel is the application of a chemical substance such as glycolic acid (AHA) or trichloroacetic acid (TCA) that gently exfoliates the surface. A series of peel treatments improves the appearance of crepey skin and uneven pigmentation while making your skin look smoother, firmer and more radiant. Helps provide vibrant radiant looking skin with minimal downtime. Consult with your physician. Some of the benefits are smoother skin by: Diminishing and or minimizing deep wrinkles and roughness. Shrinks pore size. Smoothes out crepey skin. Great for Acne prone skin. Removes hyperpigmentation caused by sun damage. Noticeable results after just one peel, compelling results after three to six peels. We recommend three sessions 3-4 weeks apart. You will notice improvement after each treatment. * Restores a youthful, vibrant appearance to wrinkly, blotchy, sun-damaged skin. * Improves acne scars and skin texture, and reduces the effects of sun damage. * Smoothes fine surface wrinkles, and corrects pigment problems such as age spots. * Noticeable results after just one peel. Compelling results after three to six weeks. Scars are areas of fibrous tissues that replace normal skin after injury. All scarring is composed of the same collagen as the tissue it has replaced, but the composition of the scar tissue, compared to the normal tissue, is different. Two common types of scarring seen in the skin are hypertrophic and keloid scarring. Hypertrophic scars occur when the body overproduces collagen which results in a thickened or raised scar compared to the surrounding skin. Keloid scars are hypertrophic scars which grow larger and outside of the original wound area. Keloid scars can occur on anyone. They can be caused by surgery, accidents, acne, or even body piercings. Skin resurfacing with microneedling will help to minimize and or diminish the scar. It triggers the skin’s natural response to heal itself. Lending to an improvement in skin’s laxity and smoothness. 3-6 treatments are recommended to achieve maximum results. * Reduces wrinkles & fine lines. The loss of elastin & collagen cause thinning, sagging skin and facial wrinkles. * Improves Scars Micro-needling is proven to diminish the look of surgery & acne scars. * Prevents Signs of Aging. * Areas to be treated: Face, Neck, Decollette. * We can also focus on just the eye area for lax skin, deep wrinkles around the eyes. A clear complexion is something many people want but even with the most meticulous regimen, blemish-free skin can be difficult to achieve Photo rejuvenation, which uses intense Pulsed Light (IPL) technology can help reduce the appearance of some of the most common skin concerns, including brown spots, melasma, broken capillaries and sun spots. This minimally invasive skin procedure can also treat signs of aging such as wrinkles or age spots. Correcting & rejuvenating your skin is now available with no-downtime, making it a popular procedure. ARE YOU SUFFERING FROM CYSTIC ACNE? IPL Acne facials actually work wonders on cystic acne. This type of treatment primarily targets the lower layers of the skin while leaving the top layers of skin unaffected. The heat generated from the light promotes healing of the skin within. Healing the deep layers of skin causes shrinkage of the inflamed sebaceous glands and helps to prevent overproduction of excess sebum. The Fire and Ice Facial, also by iS Clinical, is famous for its instant brightening, smoothing and tightening of the skin. This intensive clinical treatment is designed to resurface the skin, reduce fine lines and wrinkles and deep clean blocked pores. The Centerpiece of this remarkable system is a combination of two treatment masques. The extremely powerful intensive Resurfacing Masque is formulated with Sugar Cane Extract (potent natural source of Glycolic Acid) Retinol (Vitamin A) & Niacinamide (Vitamin B3) while still the Rejuvenation Masque formulated with potent antioxidants Sodium Hyaluronate (Hyaluronic Acid). Aloe Vera Green Tea, Grape Seed & Rosemary Extract soothes, hydrates and nourishes. This treatment is complemented by a unique combination of cosmeceutical serums & cremes to guarantee one of the most effective results driven facials you’ll ever experience.